It's good to be back! Last Thursday, in the very, very wee hours of the morning, Ally, The Melissa, and I set out on a nearly 700 mile drive from Central Florida to Nashville, Tennessee for four days of bookish and some non-bookish fun. 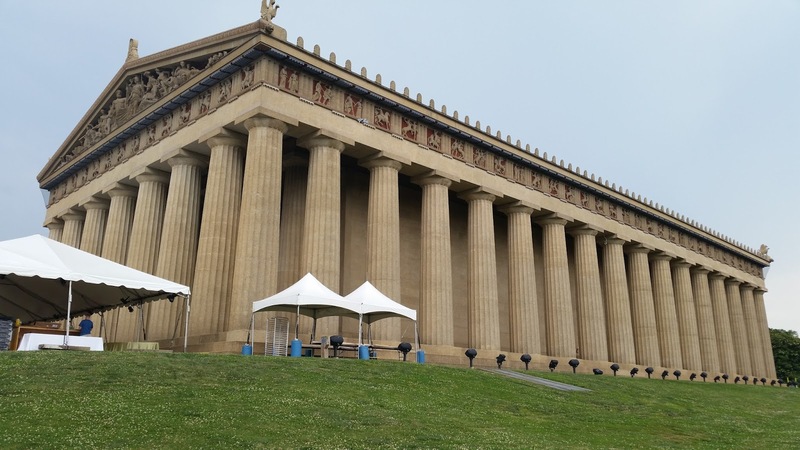 Our primary destination was UtopYA Con 2014, with some ambling around Nashville thrown in. 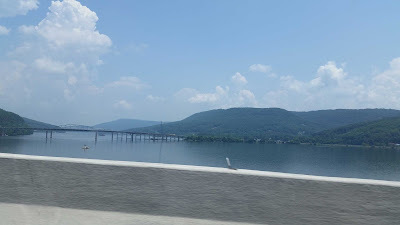 We had a pretty straight route from Florida through Georgia and then into Tennessee. 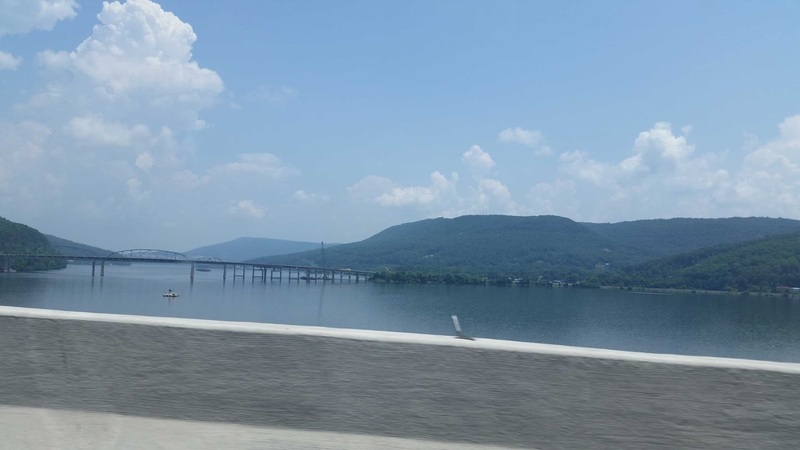 This was the first road trip for my car, which Ally christened "Ronan" along the way, after Ronan Lynch from Maggie Stiefvater's The Raven Boys. Poor Ronan had to endure a lot on this trip: boiling outside temperatures, some bumpy roads, and lots of bug splat. Fortunately it rained a few times, otherwise I was going to have to manually clean the windshield. And I so did not want to do that. The drive ended up taking about 12 hours with breaks and getting stuck in traffic through Atlanta and once we got into Nashville. I think we were all very grateful to see the hotel. After dinner, we checked out Downtown Nashville for a little bit and then passed out for the night back at the hotel. Friday was the first day of the con. Gennifer Albin was scheduled to give the opening keynote speech but had to spend the night in an airport, so Sylvia Day, who was set to speak on Saturday, spoke on Friday instead. She was fantastic and delivered an extremely insightful speech about the business of being an author. After the keynote, we got to meet the lovely Ali from Ginger-Read Reviews and the lovely Carmen Jenner, author. We checked out the author tables, where I basically wanted to buy every book I saw. Alas, some unfortunate luck right before the trip prevented me from buying any books during the entire con. My car required some necessary repairs before departing that totaled over $500, thus completely obliterating any notion I had of buying books. I bought exactly one souvenir during the whole trip (and which will be featured in the next Book Loot post). I was really down about my book budget going bust before I even left home, but there was this one thing, which I'll get to later, that cheered me up considerably . . . . 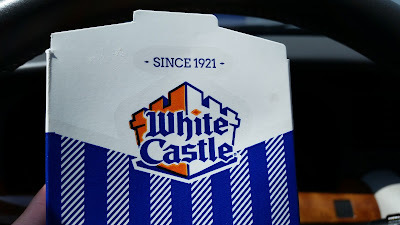 I had not eaten a White Castle hamburger from an actual White Castle restaurant since moving to Florida six years ago. 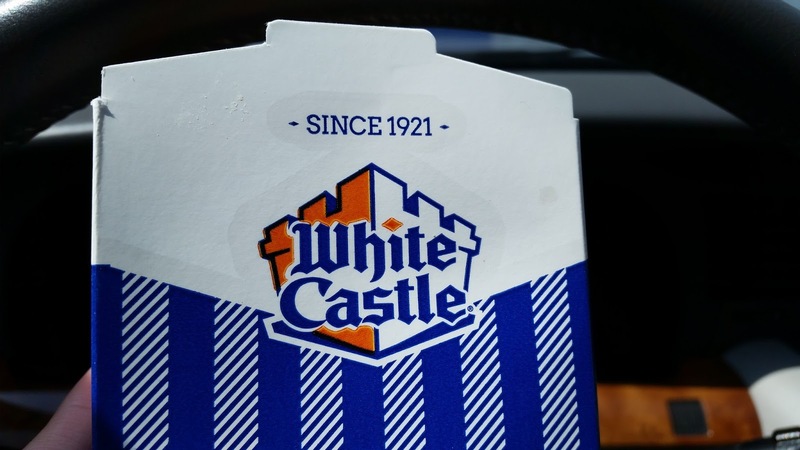 Because there are no White Castle restaurants in Florida. I still buy them frozen and microwave them, but it's not the same. Eating one of these unhealthy babies steamed fresh off the grill was heavenly. Saturday's keynote speaker was Gennifer Albin. Something she said that really resonated with me was how you have to make time to write. I'm not writing a book, but I applied it to writing blog posts and even to reading. I'm always going to think of a million other things that I should be doing instead of reading and blogging, but sometimes, those other things can just wait. We attended the blogging panel, which was inspiring. I'm getting a bit ahead of myself, but at the end of the con, I really felt a renewed passion for reading and blogging that I hadn't experienced in a while. And I still feel that way, which is why I'm sitting here at night writing this post when I should be grabbing some sleep, lol. I had a rough day on Saturday. Like everybody else, I was exhausted, but unlike everybody else, I let it get to me. I'm also not the best traveler. I mean, I love visiting new places, but I also get homesick very easily and quickly begin missing the comforts of home, like my own bed, softened water, being able to microwave a snack (White Castle hamburgers!) whenever I'm hungry, etc. So I was longing for home on Saturday, too. 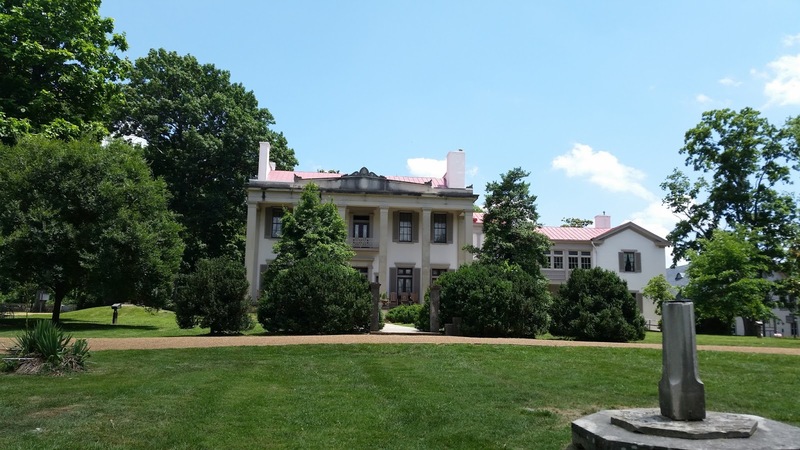 My GPS was also having trouble navigating Nashville, rerouting us quite often. The frustration of not being able to get from Point A to Point B without an unintentional detour, plus the heavy traffic, just pushed me over the edge. So I did the only logical thing I could do: cry. Who cries on vacation? I do. That was an eye opener, in that I was stressing out while on vacation, and I definitely need to get a better handle on my stress. And now for the thing that cheered me up: Ally and I went to see Elvis Costello at the Ryman Auditorium on Saturday night. I am a HUGE fan of his, and when I found out he was playing Nashville the same weekend we were going to be there, my heart nearly raced out of my chest. Everything: the drive, the expense, even the tears, everything was worth it for this moment. I'm actually going to write about the concert in a separate post, because it totally needs its own space. And so Sunday, our final day in Nashville, arrived. As much fun as I had, all I could think about was how wonderful it was going to be to sleep in my own bed that night. The trek home took another 12 hours, and by the time we reached the home stretch, I wanted to kiss the sign welcoming us back to our county. When I walked into my house, I wanted to hug its entire contents. When I finally went to sleep that night, hitting the pillow was more like falling into a coma. Oh I know what you mean about road trips. I've never actually driven (that's for my poor dad) but we've gone on full day road trips and it's just weird and I totally get homesick. I think I prefer trains with free Wi-Fi lol. Yikes- a 12 hour road trip! I've never taken one that long before - 4 hours to Las Vegas is already daunting for me! :) I'm glad it was such a great trip overall though, and there is nothing like appreciating home all the more after a trip! Even without the new books, it's great you got to do the sightseeing and see Elvis Costello! Great post! A 14 hour drive into NYC traffic must have been quite an experience! I'm not brave enough for that, which is why I never got my license when I lived there, lol. Public transportation was so easy to access, too, and I was very happy being a pedestrian whenever that was possible. Sorry we didn't see each other but I'm happy you had a good time here even if you're tired and didn't get to buy books. Awesome that you also met Ali and Carmen!